A native of the Black Hills of South Dakota, DuBois has preferred traditional watercolor as his favorite medium. He attended the University of Wyoming, earning a Master of Arts Degree in Art, and continued post-graduate study in New England at the University of Massachusetts in Amherst. DuBois has taught studio art at Black Hills State University since 1969 and maintains a private studio and home in Rapid City, SD. 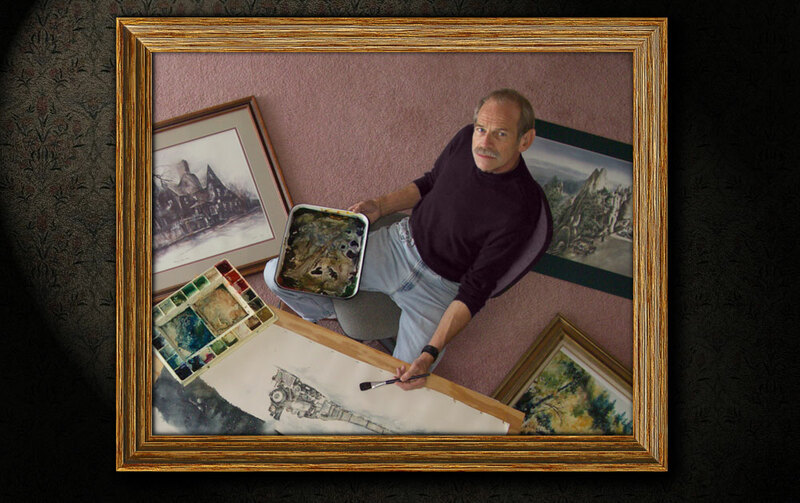 DuBois is the co-founder of the Northern Plains Watercolor Society and has served on the Board of Directors since it's inception in 1993. In addition to his studio work, DuBois participates in and conducts professional workshops in watercolor. He has been in numerous group and solo exhibitions and has juried competitions and invitational shows. His work is in permanent collections throughout the United States and is represented by galleries in the Midwest. DuBois has received numerous awards throughout the years for his work. His most recent awards include the Rapid City Chamber of Commerce Award for Liberal Arts Professional, 2004, BHSU's Alumni Association's 2005 Excellence in Education Award, Spearfish High School Fine Arts Outstanding Alumni Award, 2007, BHSU's Outstanding Alumni Award, 2008, the Allied Arts Fund "Heart for the Arts Award" in 2009, and numerous Gold, Silver, and Bronze Medal Awards in the Northern Plains Watercolor Society Annual Competition.